After practicing on how to give priceless comedic entertainment for years inside the country, Malaysian authorities have decided that it was time to bring their act to the international stage. It was to gain more recognition for their antics, and out of everything that they could do, they chose instead to showcase their antics in all the wrong places. 1. How could you let Asian looking Italian pass? 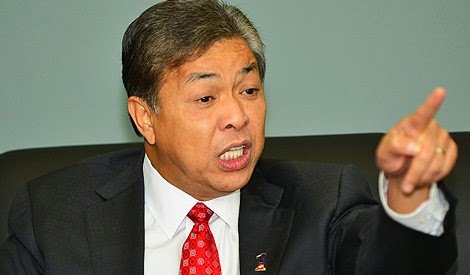 Trying to be gung ho as always,our beloved Home Minister Zahid Hamidi wondered aloud to the international community on why the immigration officers let Asian looking Italian and Austrian pass the checkpoint without first checking if they indeed look Asian. 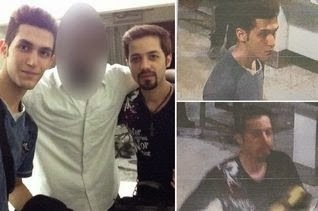 In his own words, he was "puzzled how come (immigration officers) cannot think: an Italian and Austrian but with Asian facial features," and vowed to launch a probe into the immigration officials. Apparently Mr Zahid Hamidi has never heard of globalization before where you can have Western country citizens who don't look Western (maybe that's why Malaysian politicians are so hell bent on classifying Chinese and Indians as pendatangs). 2. Suspect is not Asian looking, but looks like Balotelli instead! So... where was the Balotelli resemblance? 3. I think the aircraft took a U-turn, oh wait, it was me! 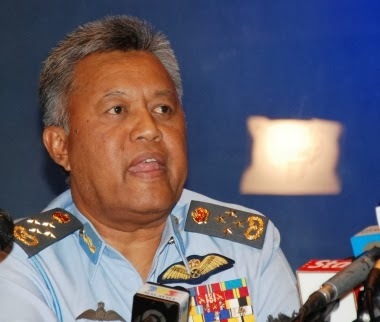 Four days after the incident and after tons of resources were committed by more than a dozen countries into finding the plane, the air force chief of Malaysia, Tan Sri Rodzali Daud decided that it was his moment of fame when he stepped out and declared that the aircraft had indeed made a U-turn and contact was lost in the straits of Malacca. Of course, this raises more questions rather than answers. Why take so many days to divulge this information? Why wait until so many energy and time was spent before telling the international committee about this piece of crucial information? After all, it's completely two different swaths of water that you're searching in. Vietnam, of course, was not amused, and announced that it was scaling down search and rescue efforts soon after. Raja Bomoh Sedunia Nujum VIP, or in the literal English translation, "Very Important Fortune-telling Person King Shaman of the World", seeing how confused the Malaysian authorities are, decided to lend a hand in his own special way. 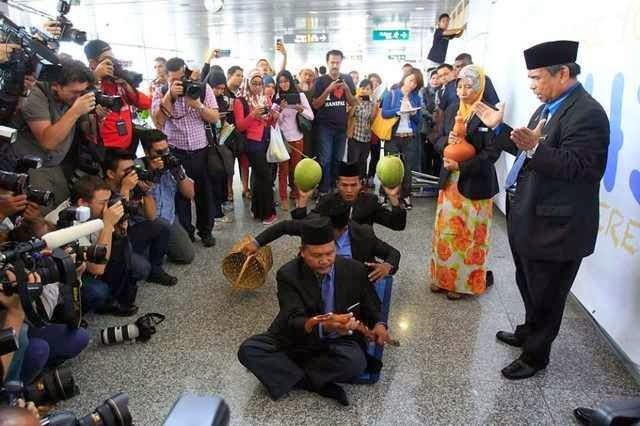 Bringing his two special balls coconuts and a supposed flying carpet, he made a second appearance in KLIA to try to help locate the plane. The international media, still awed by his wise quotes on Monday, which he predicted that "the plane was still in the air, or has crashed into the sea", was there to see if he still had any inspirational quotes to share. 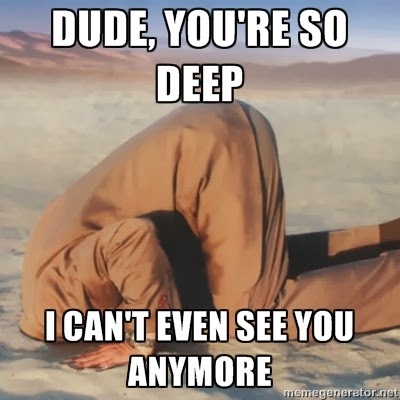 I still find it funny though, at how valiantly the UMNO government tried to sell itself as a Islam defender by banning the use of the word "Allah" by non-Muslims and arresting hundreds of Shia Muslims, but did nothing when a magic proclaiming user tried to find a plane using a bamboo binoculars. Of course, it might just be free publicity stunt for the bomoh's already fledgling business. If there's one way to describe interactions between Malaysian authorities, it's a ping pong match. Earlier this morning, it was reported that police were raiding the homes of the crew to determine any suspicious cause to the incident, only to be refuted by Datuk Hadi Ho Abdullah, the police chief soon after. However, deciding that he has stayed silent long enough, the Home Minister Zahid confirmed the police were indeed searching the homes of the crew. 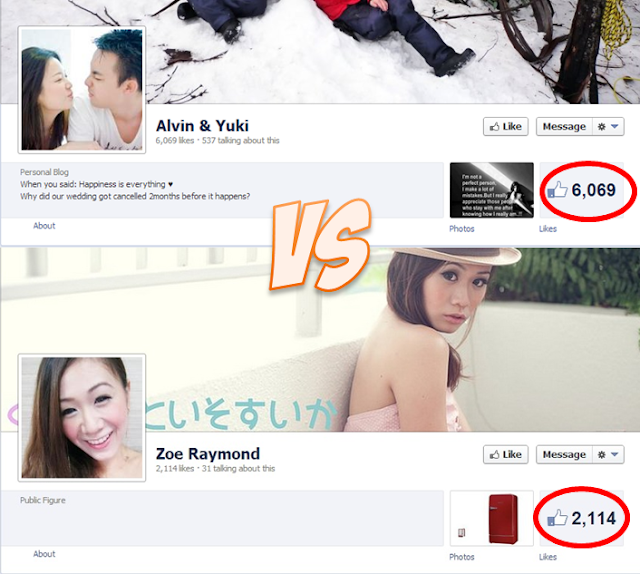 Either Malaysia has two separate police force, or somebody has gotta make up their mind on what to do. I guess this would be a good timing to utter our beloved slogan of Malaysia boleh again. And not forgetting the endless possibilities mantra of Najib. Speaking of which, I wonder what our PM is doing in addressing this crisis. Oh wait, he's busy buying a 1 dollar chicken. It's sad to see how countries like US, Vietnam, Australia and Singapore are so fast to quick to offer their help while we still have different people giving different opinion every now and then. 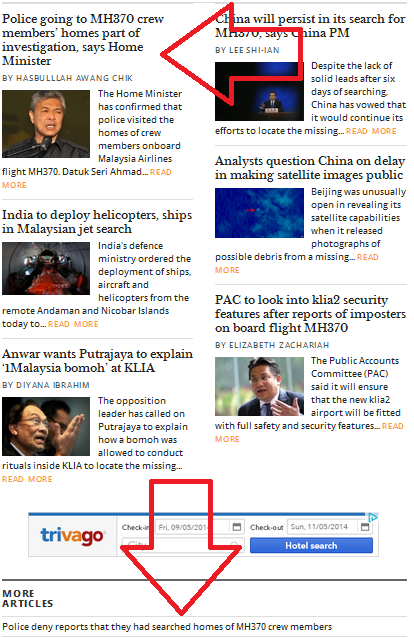 And flying the relatives of the passengers from Beijing to India instead of KL.